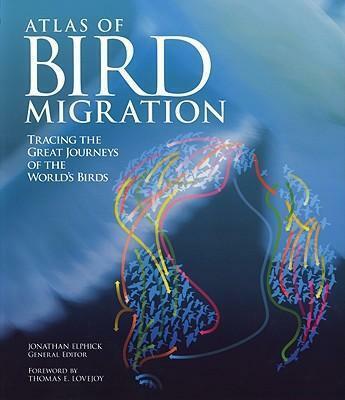 "The photos and illustrations in this large volume are so beautiful that one is tempted to skim the text. . . . That, however, would be a mistake: while brief, the text provides all the information readers need to understand the how, why and where of bird migration." -- Publishers Weekly (starred review) Every year, billions of birds leave their North American breeding grounds for winter quarters thousands of miles south. That so many birds migrate so far through life-threatening conditions and to the same place each year is simply stunning. This lavishly illustrated book provides comprehensive information on migration and its great mystery: How do the birds know where to go? The latest scientific discoveries are explained, and a comprehensive directory presents accurate profiles and chronicles the migratory routes of more than 500 typical migrant species. Colorful maps, photographs, calendars and fact files feature easy-to-read symbols and abbreviations. Atlas of Bird Migration includes: North American birds of prey Hummingbirds, grosbeaks and starlings Eurasian shorebirds, storks and cranes Winter visitors from the Far North, such as swans, geese and finches African, South American and Australasian migrants Migratory sea birds, such as penguins, albatrosses and terns. The use of satellite tracking methods, current environmental threats and conservation initiatives are explained, and a comprehensive catalog of migrating species from all continents closes the book.